“When I first started working in a home with people who all had learning disabilities, it was a nerve-racking and daunting experience,” said Joanne Hall, a team manager who has been caring for some of society’s most vulnerable people for over a decade. “The more you get to know somebody, the stronger your relationships with people will become." “One of the challenges I faced immediately was that everyone I began working with was non-verbal in their communication. You quickly learn in this job that that you don’t have to be verbal to communicate. Lots of the people that I supported were non-verbal and communicated to staff through facial expressions and body language. 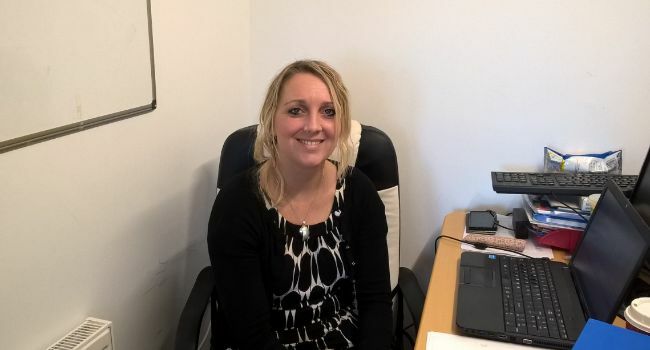 Joanne Hall, aged 36, works for United Response in Morley, Derbyshire, and is celebrating her 15th anniversary with the disability charity this month. See more: Can cognitive behavioural therapy (CBT) work for those with learning disabilities? “I really love my job,” she said. "It’s the people that you work with and support that make it all worthwhile. They really keep you going. There are lots of ups and downs and no two days are the same but it’s incredibly fulfilling and you learn so much about other people and about yourself too. Joanne began working part-time as a support worker while studying creative expressive therapy at university. She still works with the same people she first supported in 2003. She said: “The more you get to know somebody, the stronger your relationships with people will become. “I really enjoy working with people. One particular gentleman we support in Morley, who has severe learning disabilities and cerebral palsy, has been all over the world and I’ve been going with him. He is one of the cheeriest people I have ever met and he enjoys his life. I get an awful lot from working with him and I think he gets a lot from working with me. She helped to fund a trip to Disney Land in Florida for his 40th birthday in 2007 by raising £6,000 through a sponsored sky dive. A decade later they travelled to Las Vegas for his 50th. She also gets people engaged in the community through running a sensory group on cultural awareness where people she supports go to local community centres and explore food and music from across the world.